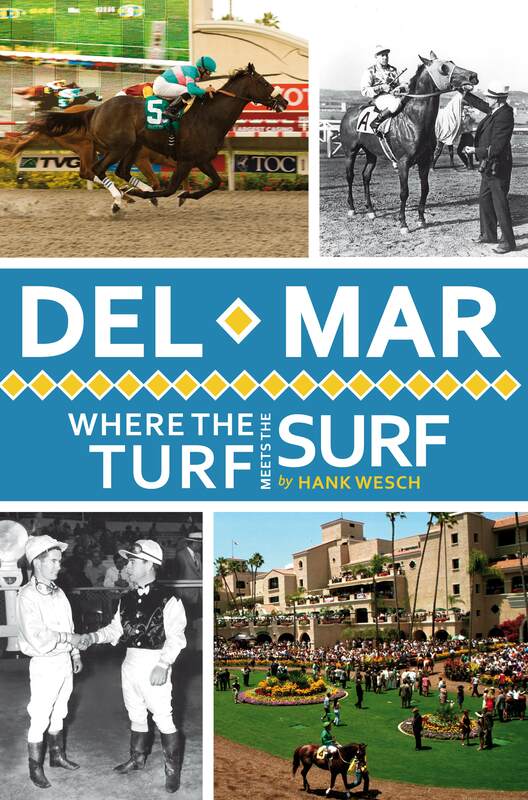 The History Press is proud to announce its debut California book Del Mar: Where the Turf Meets the Surf by Hank Wesch. For nearly seventy-five years, summertime at Del Mar Racetrack has been a place for fun and entertainment—a place, as Eddie Read said, “where nobody’s in a hurry but the horses.” Since its founding by Bing Crosby and his Hollywood friends in 1937, Del Mar has hosted some of thoroughbred racing’s finest, from dancing Zenyatta and scrappy Seabiscuit to San Diego’s own Hall of Famers Best Pal and Azeri. In this collection of vignettes, celebrated turf writer and San Diego sports journalist Hank Wesch recalls noted jockeys, infamous matchups and the best of Del Mar.